Researchers have known for quite a long time now that cannabinoids (both THC and CBD) can cause and prevent seizures (study). Using CBD for seizures is one of the most supported uses for medical cannabis in terms of clinical studies and historical anecdotes. One of the most famous strains of high-CBD cannabis, Charlottes Web, was developed out of a desire to treat epilepsy in a child of the same name (minus the 'Web' part). Charlotte, a young girl suffering from hundreds of seizures per week, failed to achieve seizure control after trying multiple anti-epilepsy drugs. Her parents, desperate and willing to try anything, moved to Colorado to try CBD. The seizures stopped. Since then, parents have flocked to Colorado to give their children CBD, and media attention soared. After all, what could be so bad about a plant that helps a little girl live a life without seizures? If epilepsies are the third most common class of neurological disorders after migraines and PD, isn't it our responsibility to find the most effective treatment? In this article we expand on research done on the anti-epilepsy effects of cannabinoids since the 1970's, go over how we think cannabinoids work to protect our nervous system, and what cannabis hemp/CBD products people use today that have been effective in reducing or completely eliminating their seizures. 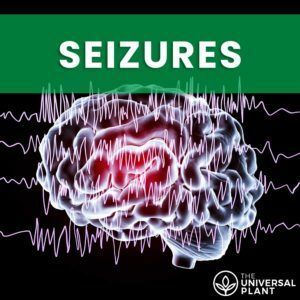 Before we get into the nitty-gritty, let's talk about what seizures are, where they come from, and the role of the endocannabinoid system in mitigating seizure disorders. Feel free to skip ahead using the table of contents below if you're ready to get to a specific issue. Where Do Seizures Come From? Seizures are a symptom of epilepsy, buy they can also be a symptom of other conditions. About 2% of all adults will experience a seizure event at some point in their lifetime. A full one-third of these adults will never have a seizure again (source). In the case of provoked seizures that originate from an identifiable source, treatment is rarely needed. The cause of the seizures is addressed and the seizures usually stop. If you, or a child, has seizures that can't be traced back to an acute cause, that's when you have an actual seizure disorder. These times of frequent seizures means you have epilepsy. Epilepsy is less its own disorder, and more of an adjective to describe any condition involving the unprovoked occurrence of multiple seizures. This article focuses on how to use CBD for seizures that are unprovoked and characterized as epilepsy. Seizures have been an area of focus and study for medical professionals for centuries. They occur when the nerve cells (neurons) in the brain that create, send and receive electrical impulses, allowing the brain's nerve cells to communicate, is disrupted. Anything that disrupts this communication can lead to a seizure. This disruption causes excessive surge of electrical activity in the brain that can leads a variety of seizure symptoms, depending on which parts of the brain are involved. The location of the seizure in the brain is the main characteristic used to identify and classify seizures. The two main categories, or types, of seizures are generalized seizures and partial (or focal) seizures. Let's briefly cover the attributes of each type of seizure, as well as their most common symptoms. While a seizure is simply an interruption of the normal electrical signaling in the brain, there are many ways a seizure can manifest itself. Contrary to popular belief, seizures are more common than most people think. The usual depiction of a seizure is of a person flailing on the ground, foaming at the mouth and at risk of biting their tongues off. However, these seizures aren't representative of most seizure events. Often times, symptoms can be so mild that seizures go undetected for years. As we will see, evidence of seizures can be as innocuous as staring off into space. That doesn't mean that they aren't dangerous. Any seizure that causes you to lose consciousness or control over your motor functions can result in fatal accidents like car crashes or drowning. First, I'll go over generalized seizures, and then do an overview of focal/partial seizures. These seizures affect multiple parts of the brain and usually result in a loss of consciousness. There are many different types of generalized seizures, all accompanied by their own set of symptoms. Tonic-clonic seizures. Tonic-clonic seizures, previously known as grand mal seizures, are the most dangerous type of epileptic seizure. Partial seizures are seizures that occur in only one part of the brain. These 'focal' seizures, are further characterized and defined by the part of the brain affected. Beyond the portion of the brain affected, these seizures can be further classified by the symptoms caused. Namely, whether or not the patient is aware during the seizure, or partially aware. Spontaneous sensory symptoms such as tingling, dizziness and flashing lights. Since seizures are induced by an interruption in the normal electrical signaling in the brain, they can be caused by all kinds of physical and chemical injury (source). The different origins of seizures will depend heavily on what stage in life they had their first seizure. Damage caused by high fevers from an infection or heatstroke. Metabolic disorders like high or low blood sugar or sodium levels. Or a deficiency in calcium or magnesium. Oxygen deprivation from an abnormal heart rhythm, cardiac arrest, carbon monoxide poisoning, near drowning or suffocation, stroke, or vasculitis. Structural brain damage caused by brain tumors, head injuries, hydrocephalus, intracranial hemorrhage, and stroke. Birth defects including injury, Tay-Sachs, and phenylketonuria. Cerebral edema (fluid accumulation in the brain) due to eclampsia or hypertensive encephalopathy. Certain recreational drugs like amphetamines and cocaine. Exposure to toxins such as lead and strychnine. Withdrawal from heavy use of alcohol, sedatives (including sleeping aids), and general anesthetics. Seizures are just as common in people over 60 as they are in children under 10, even though the age is usually indicative of the source. This isn't surprising given the wide variety of causes. Now it's time to talk about how the endocannabinoid system is involved in seizure activity. It's important to know the cannabinoid and terpenoid profile of the strain. CBD shows the most promise in treating seizures, but some types of seizures appear to respond better to higher ratios of THC (CBD:A Patient's Guide to Medicinal Cannabis). Additionally, a 2015 open-label study of 162 pediatric epilepsy patients where CBD was administered at a rate of 4-10mg/lb per day and titrated up to a maximum of 50mg/lb/day reduced seizures activity at a rate comparable to existing drugs (about 40%). Also, 4% of patients ended up totally free of motor seizures. In another study conducted in 2016, 201 children with epilepsies used high-CBD oil tinctures with doses starting at 25mg CBD/day up to 100mg/day ended up improving epileptic seizures by more than 50% in almost 70% of the participants. 115% of are seizure free and over 40% reduced or eliminated their intake of pharmaceutical drugs. The only negative side effects observed were diarrhea and drowsiness, but the patient's mood, energy , sleep, appetite and focus improved. Also in 2016, a retrospective study of 74 pediatric patients in Israel found that 89% reported a reduction in seizure activity with CBD therapy. And of course, we can't forget GW Pharmaceuticals conducting several randomized, double-blind, placebo-controlled clinical trials of Epidiolex with results positive enough to allow them to undertake the process of struct FDA approval. These are only a few of the studies done, but they are the most recent. Older studies include a 2009 study indicating that anandamide (an endocannabinoid) may prevent epilepsy, and a 2005 study showing safe and clear improvement of consciousness and spasticity in 18 children in Italy. The mechanisms that allow cannabinoids to act as an inhibitory agent on seizure activity are not completely understood. We are confident that the interactions between cannabinoids and CB receptors isn't the extent of the activities that allow cannabinoids to protect us from seizures. It's likely that time is needed to sort through the complex potential receptor interactions to determine the exact mechanisms cannabinoids act on to inhibit seizures for dozens of different seizure disorders. If there's any doubt about the efficacy of CBD in treating epilepsy, the development of a full-fledged FDA-approved pharmaceutical made by GW Pharmaceuticals with CBD extract should be proof enough. In 2016, GW Pharmaceuticals conducted trials for their Epidiolex product, which contains CBD suspended in seseme oil. The results showed that at a dose of 20mg of CBD per kilogram of weight, 43% of patients had an over 50% reduction in convulsive seizures compared to 27% of patients taking placebos. Three of the CBD patients achieved total freedom from seizures and convulsions during the entire treatment period, while none of the placebo patients did. These are promising results that are only bolstered by anecdotal accounts in the media and online. Before we go on raving about CBD, let's give a fair hearing to the currently accepted treatments, starting with AEDs. AEDs (anti-epilepsy drugs) are the primary treatment option for seizure disorders. When a patient fails to gain control over their seizure events after trying two AED's, they're considered to have "drug-resistant" or "refractory" epilepsy. A whole 20% of epilepsies won't respond to currently available drug treatments. This number includes children. Most adults will need to take AED's for the rest of their life (unless they opt for surgery). In children, the need to continue taking anticonvulsants depends on what caused the seizures and how long they have been seizure-free. The common practice is to continue giving the child anticonvulsants for two years after the seizures stop, and then titrate down until completely off the meds. This is because the risk of having a seizure after 2 seizure-free years is less than 50%. There are dozens of choices for AED's depending on the patient's age and how the medicine can be delivered to the patient. Take note that it's not uncommon for patients to be on more than one AED to control their seizures, but 80% of patients who find relief with AEDs only need one. 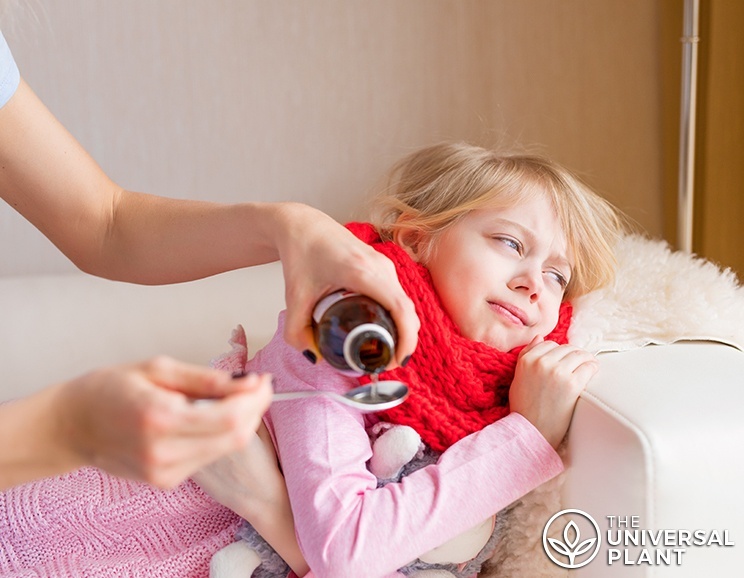 Additional negative aspects of taking AED drugs for children include the need for regular blood tests to make sure the dose is correct, and to check the blood for chemical imbalances indicating adverse side effects. There are other measures you can take to reduce the number of seizures you experience. These measures include changing your diet, and understanding your seizure disorder well enough to know when a seizure might be on the horizon. Ketogenic diet for children (low carbs, high fat). When the body breaks down fat to use for energy, ketones are formed. In some children, these ketones help control seizures. The ketogenic diet must be strictly adhered to and demands that foods be measured precisely. Even one bite or taste of a restricted food can lead to a seizure. If the child goes on to improve substantially, the diet is often continued for at least 2 years (source). Trigger warning monitoring. Learning which signals from the environment such as sounds, music, or lights that trigger a seizure for you is a way to be more aware of your disease. Any activity can be a personal, unique trigger warning for an oncoming seizure, including: reading, writing, solving problems, or thinking on a certain topic (source). Oftentimes, patients don't respond to anticonvulsant drugs. In these cases, alternative treatments are considered (source). Vagus Nerve Stimulation - This procedure involves the implantation of a pacemaker-like device under the left collar bone with a wire connected to the vagus nerve. It's used in adults, and can be used in children as young as 4 years old. Doctors consider using this procedure when anticonvulsants are ineffective and epilepsy surgery is not possible. The device is programmed by the doctor to periodically stimulate the nerve. Possible side effects include hoarseness, cough, and deepening of the voice when the nerve is stimulated. Vagus nerve stimulation usually makes children more alert. This treatment is shown to reduce the number of partial seizures by more than half in about 40% of patients to undergo the treatment. Surgery - If an adult or child continues to have seizures while taking two or more anticonvulsants or if the side effects of the anticonvulsants are intolerable, brain surgery is considered. For children, the operation involves surgically removing an the affected area of the brain. It is usually done only when seizures are caused by only one area in the brain and that one area can be removed without significantly affecting the child's ability to function. For adults, if a brain defect (such as a scar) can be identified as the cause and is confined to a small area, surgically removing that area can eliminate seizures in up to 60% of people, or it may reduce the severity and frequency of seizures. Another surgical procedure done on adults involves cutting the corpus callosum (the nerve that connects the two sides of the brain), thereby isolating seizure events to one side of the brain. For drug resistant patients, cannabis may be their only option. It's been approximated that about 20 million people worldwide have drug-resistant epilepsies. Dating as far back to the 10th century, cannabis was investigated as a possible treatment. A Persian medical writer recommended pouring the juice of hemp leaves into a patient's nose to prevent seizures. Even though we don't know the exact mechanisms that allow cannabinoids to inhibit seizures, we do have proof that CBD can be effective in the treatment of seizure disorders without any adverse side effects. We certainly think that trying cannabis treatments that are high in CBD should be considered before undergoing surgical treatments. However, we also believe that supplements and drugs aren't always the whole answer. For seizure disorders, we recommend educating yourself about preventive measures you can take (including diet) and doing everything you can to maintain a lifestyle conducive to reducing seizure events. 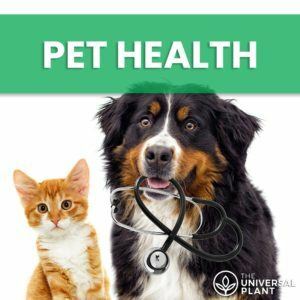 Even if you do try CBD, we highly recommend continuing any preventative measures adopted prior to experimenting with cannabis. We know that CBD for seizures helps reduce or eliminate seizure events. We also know that many people on AED's and other treatments don't see a reduction in their seizure activity. If you're not happy with your current treatment regimen and you want to try cannabis, follow these tips to get the best outcome. Now let's talk about how to best go about taking CBD for seizures that qualify as a seizure disorder (epilepsy). For any adult who's alight with using THC-dominant cannabis to control their seizure activity, strains such as ACDC, Harlequin, Dance World, Sour Tsunami, and Ringo's Gift have risen in popularity recently. As a side note, it's also been discovered that ACDC and Charlottes Web have nearly identical genetics which is why it's not mentioned above. Cannabinoids apart from THC and CBD that have demonstrated that CBG, THCV and CBDV may also exhibit significant anti-seizure activities as shown in animal models of chronic epilepsy (study). Lastly, for terpenoids, linalool exhibited anticonvulsant activity in human patients according to multiple studies(study)(study). For seizure disorders, the dose is going to depend on the type of disorder, as well as the cannabinoid profile of the product your using. Most professionals recommend consulting with your physician when medicating for seizures because of cannabis's biphasic nature, meaning that there is a risk that cannabinoids can worsen seizures instead of help them, and the risk that cannabinoids interact with other seizure medication. If you are going to attempt to take CBD for seizure disorders without a physician, the typical CBD protocol starts with 10mg-20mg twice a day. Then, you double your dose every three days until seizures are under control or the daily dose is 20mg per kilo of body weight (Cannabis Pharmacy). Bonnie Goldstein, MD, suggest 0.5mg/lb/day of CBD to start, and increae by 0.5mg/lb/day every two weeks. You can also divide this into three separate doses taken every 6-8 hours between meals. Children usually end up taking between 2 and 8mg/lb/day. For example, a 50-pound child should start with 25mg of CBD per day. The typical dose needed to eliminate seizure activity is very large. Some patients end up taking up to 1200 mg of cannabinoids per day. That's why we recommend going with some kind of oral medication. Either a very strong tincture, paste, or edible with a high concentration of cannabinoids per serving would work best for an adult. For children, we recommend an oil-based tincture/extract of some kind. Because of the high dosage requirements, we've only recommended products with serious cannabinoid concentrations. If you're just starting out, take less than directed by calculating the dose needed for the number of miligrams desired (see above section for dosing tips). We recommend using full-spectrum CBD products when treating seizures, since it's been shown that THC or THCA in combination with CBD can be very effective. We do not recommend giving children capsules or other edibles. Lazarus Naturals sells a wide range of concentrations of capsule products, but this bottle capsules of 50mg CBD each (10,000mg of CBD total) is the best deal for potential dosing an adult with high amounts of CBD. Nuleaf Naturals specializes in CBD tinctures (that's all they sell), and they make the highest dose produce we've come across. There are 4850mg of CBD and other cannabinoids in just 300mL of liquid, so make sure to dose appropriately. Endoca makes raw hemp oil CBD paste containing both CBD & CBDA. The product is in a syringe that makes it easy to dispense doses. There's a total of 3000mg of cannabinoids in this baby, so it meets the high dose requirements above. Because most people with epilepsy will end up taking doses that far exceed the volume of most entire tincture containers, we decided to include a super-high concentration capsule sold by Lazarus. These capsules are 200mg each. The container shown only has 4 capsules in it, but they're sold in quantities of 20 if you want to make the leap. Want more? See the list below for more posts about using CBD for seizure disorders.